As a start-up, your endeavour is to make the most of your advertising budget. Your objective is to build a reliable consumer base while making sure that every penny you invest in advertising delivers a pound in return. 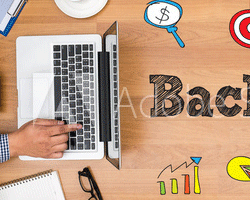 Online Advertising is exactly what you’ve been looking for. It helps you reach a great number of people and delivers fabulous ROI when compared to traditional or conventional advertising. Online Advertising also facilitates communication between you and your consumer which leads to the evolution of your product or service. Ultimately, it’s a good idea to be in a place which is the incontestable future of advertising. First, build an exhaustive yet crisp website. 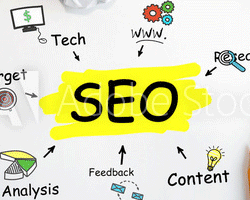 Next, ensure this website is easily traceable by your consumer (You can do this by making the website Search Engine Optimisation (SEO) competent). After this, create a sturdy, consistent and creative presence on all Social Media (Facebook, Twitter, YouTube, etc.). Lastly, make sure you reach our consumer right at his doorstep by using Banner Advertisements, Email-Marketing & Search Engine Marketing (SEM). Now, a little about each avenue. In the present time it is essential your website be mobile-friendly as more and more people are using their phones to access the internet. Your website should also concisely communicate all the important information about your organisation and have the necessary CALL to actions for your consumers to reach you. 51% of online traffic is generated by queries typed in search engines. 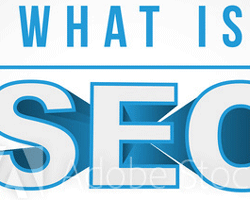 This figure leaves no doubt about the significance of SEO. Therefore, make sure you have a strong presence on all search engines (Google, Yahoo, Bing, etc.). (SEM): SEM or PPC (Pay per Click) is a digital advertising model where you pay only when your prospective consumer or anyone interested in your product or service clicks on your advertisement. A start-up like yours should run a test campaign on various portals such as search engines, social media, etc. This test campaign will clearly highlight the options that are most suitable for your enterprise and weed out the unnecessary ones. A test campaign also saves your energy and time and in the end acts as a roadmap for your future Online Advertising needs. The cumulative effect of all this is great ROI. SEM is a very efficient and cost-effective way of reaching your audience. There are more than a billion people on Social Media today. This is a world throbbing with activity and not being here is the closest thing that could be termed as an advertising catastrophe. It’s imperative for you to be here. The first clear advantage of SMO for your start-up is reaching your target group in great numbers. Secondly, being a start-up you go that extra mile to maintain your brand image. On Social Media you can know what people are talking about your product or service and accordingly make changes. To make SMO work for you, you need to target relevant social media websites and begin engaging conversations with your consumers. By posting videos, pictures and blogs you can maintain brand recall and know what your consumer thinks. All of these go a long way in helping your business. Once you have your database in place you need to create an arresting piece of communication. After this is done you can create an Email Campaign using tools like MAIL CHIMP, Octane, etc. If you don’t have the time and resources for this you can always hire an Email Database company which can conduct an email campaign for you. If reaching a mass or targeted audience happens to be your goal, Banner Advertisements are an excellent option. To proceed, you need to shortlist portals and request quotations from them. 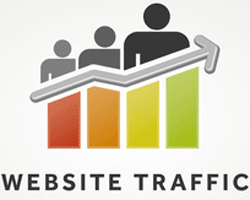 You also need to gather information from them about the demographics which visit their portals. Based on your objective, you can run a banner advertisement campaign. I would suggest running a 1 day to 7 day campaign to assess the ROI before investing in big campaigns. Other Digital Media Platforms that can be covered are Mobile Marketing, Affiliate Marketing, etc. As a Digital Marketing Consultant, we can help you strategise, execute and control your digital advertising plans as per your budget.